RHeaNA brings together key representatives from each state and territory working within the policy, clinical and public health realms of refugee health and was established in 2008. The Refugee Health Network Qld (RHNQ), along with other state representatives, shares information about local trends, challenges, service innovations and research at quarterly RHeaNA executive teleconferences. Should you wish to communicate some information to the RHeaNA executive email queensland@refugeehealthaustralia.org. RHNQ acts as the representative for the Queensland Branch. The Refugee Nurses Australia (RNA) network was formed in January 2016 by lead Refugee Health Nurses across Australia. There are Refugee Health Nurses in every state and territory. 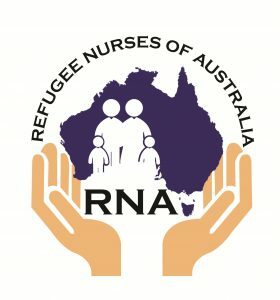 The RNA has a national focus and provides an opportunity for nurses working with people from refugee background to share resources, be advocates, contribute to clinical guidelines and be involved in community of practice opportunities. The BRASS network provides an opportunity to be on the same page, coordinate activities, discuss changes in the policy and political landscape, and connect with like minded individuals. If you are an organisation doing work in this space, come along to the monthly meetings on the last Friday of each month at Justice Place, Abingdon Street, Woolloongabba. All Welcome!